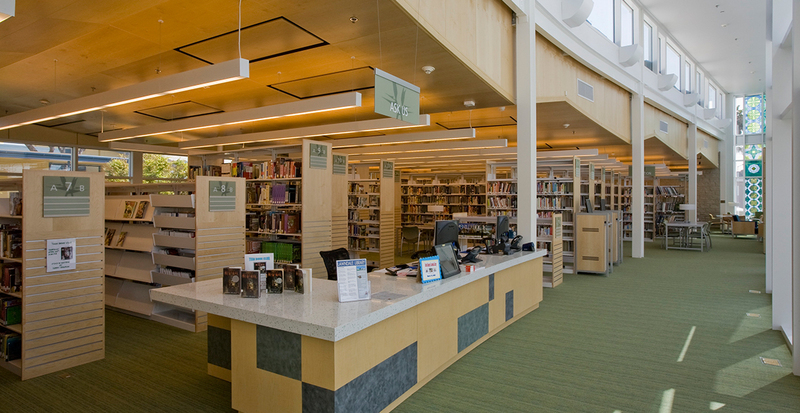 The 17,400-SF, one-level County public library located within the civic center was developed to serve the current and future needs of the community for the next 20 years. 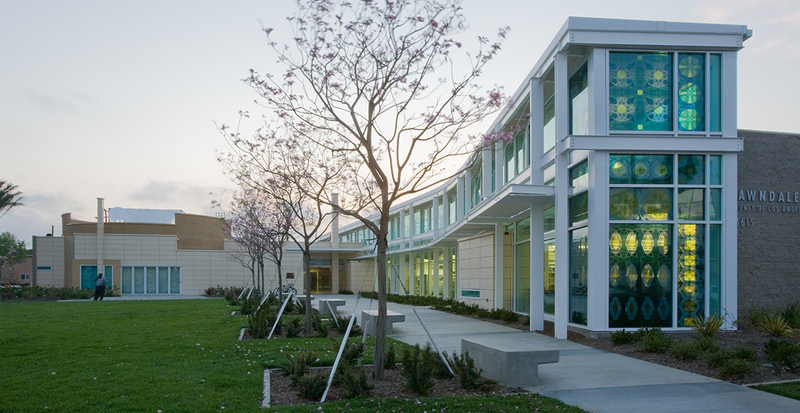 The existing 3,000-SF facility was woefully undersized for the Lawndale community. The design includes an adult library and reading facilities and adult Hispanic and Chinese language collections serving the community. The project also includes a major children’s component encompassing a homework center, book and video collections, as well as a children’s storytelling area. The facility is developed in an L-shaped configuration, with the eastern leg of the “L” accommodating the adult collection and the western leg accommodating the children’s area. The facility also includes a major community room and support areas providing a hub of activities for the Lawndale community.